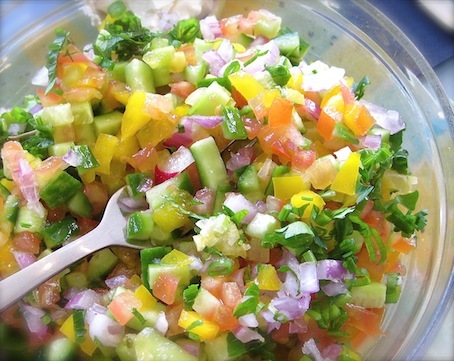 A chopped Israeli Salad is all about using what's on hand, and what you enjoy eating. That makes it the quintessential Queen in the Kitchen kind of recipe. Israeli Salad is usually served along with other salads featuring fresh Mediterranean vegetables. Mix all ingredients and serve either at room temperature or chilled.